I recently came across a short whitepaper on hedge fund marketing in Switzerland. Here is a short excerpt from this article and a link to the full copy. In the last few years, alternative investments and hedge funds in particular have become part of the standard asset allocation process in the Swiss private banking business as well as for many Swiss institutional investors. This is the case even though, given legal and regulatory constraints, hedge funds may only be distributed in Switzerland by way of private placement, without any public offering. In addition, Swiss law and the practice of the supervisory authority, the Federal Banking Commission, allow for the setting up and the public distribution of collective investment schemes which take different forms and which invest into hedge funds (e.g. investment companies, investment foundations, and funds of hedge funds). These structures have also contributed to the success of alternative investments in Switzerland. 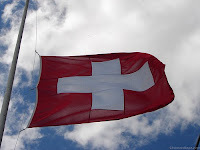 For the rest, the on-going revision of the Swiss mutual fund legislation is expected to create additional flexibility in regards to the offering of this type of investments to the Swiss market. Switzerland is an important player in the alternative investment arena, especially for hedge funds. Although reliable statistics on this topic are difficult to come by, it is generally considered that, after the U.S., Switzerland is the second-largest market for hedge funds in the world. A number of factors have contributed to this situation. Firstly, Swiss private banking and its sophisticated clientele have been among the first to invest in hedge funds, and to do so massively. With the years, a number of Swiss banks and financial advisors have thus developed an expertise in alternative investments. In parallel, Swiss institutional investors (e.g. pension funds) have been quick to include alternative investments in their asset allocation model. Recent changes in the applicable regulatory framework have further expanded the ability of these Swiss investors to invest in hedge funds, or funds of hedge funds.